xiQ is a company focused on building mobile business apps that collect publicly available content and combine it with information from social and professional networks enabling business professionals to gain the extra intelligence required to discover the right opportunities, make smart decisions and engage intelligently with prospects. Designed for B2B sales and marketing professionals and executives, xiQ uses a combination of patented technologies to gather massive amounts of information and data from the internet, social media, public records and hundreds of industry-specific sources. 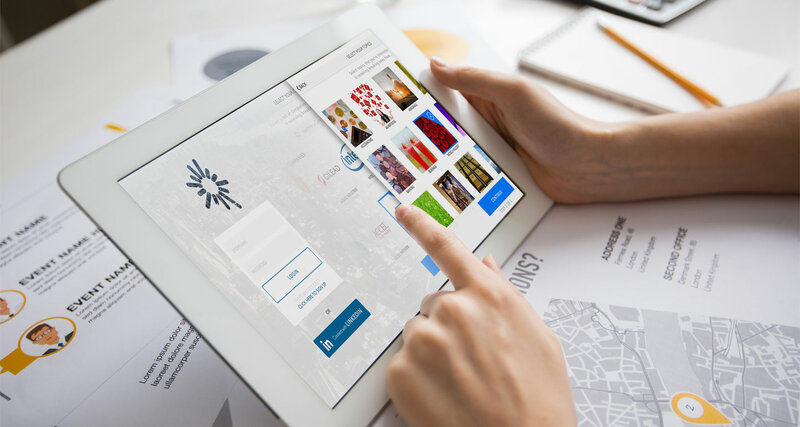 It is the next generation sales intelligence solution, that enables smart customer engagement for sales professionals who are always on the go. The xiQ platform aggregates and curates relevant news and social buzz about companies, executives, decision makers, influences, competitors from the internet, media and social networks and presents it to you literally at your fingertips via a clean and simple user interface. xiQ platform enables social collaboration and calibrates engagement. It gauges the sentiment of the people that matter, analyzes news and social buzz to predict emerging trends, giving professionals the information they need. Stay informed and be on top of breaking news and leverage the insight to discover the right opportunities, make smart decisions and engage intelligently at the right time with prospects. Be informed of the latest business developments and social buzz in their business circle of prospects, customers, partners and competitors. Prepare for meetings faster, from any location even while on the move with the most up to date information. Manage their leads and prospects, maintain notes and receive alerts whenever important information is available. Access analysis of aggregated content and get the central aspect of articles. Easily select articles to be included or excluded in his publication and share content on Social Media sites. Send content or schedule to clients for incremental revenue, leads and other opportunities. Customize email content and templates. Archive a set of published email digest. Publish his content to the Mobile APP customized widgets and can manage Promotion codes which are used for customized views on mobile app. Manage his own set of Editors and assigned permissions for customized visibility. from public records, media and social networks to deliver unprecedented insights and predictive intelligence. xiQ is more than just statistical analysis. The platform enables social collaboration and calibrates engagement. It gauges the sentiment of the people that matter, analyzes news and social buzz to predict emerging trends, giving professionals the information they need to identify key opportunities, make smart decisions and intelligently engage at the right time. 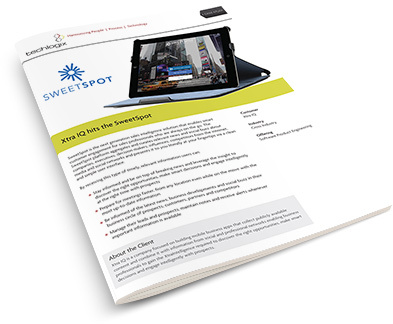 The xiQ app delivers 360 degrees of insight, content curation, analytics and more. It’s the simple way to work smart. Techlogix have been a reliable, dedicated and innovative technology partner for xiQ. We presented them with a challenge of developing a next generation mobile application development platform and highly sophisticated mobile apps and they came through with flying colors. They are proactive, prompt and most importantly dedicated to ensuring customer success. The team has great work ethic and will go the extra mile to discover innovative ways of solving complex problems. We are most impressed at how they have removed any pains associated with technology innovation and development. Founder and CEO, xiQ Inc. The challenge in the world of complex sales is not just availability of information – the internet is full of it. But the key to competitive advantage is access to specialized intelligence when you need it. xiQ’s proprietary information ranking algorithms make it easy to find high value information. The platform first aggregates and then curates thousands of resources and news documents on the internet and social media to extract the most up to date news and social buzz that is relevant to the particular user. The application provides a magazine style newsroom where users can rapidly view this personalized news and focus on the one that is most pertinent. xiQ provides a quick snapshot of how a company is performing. It consolidates and makes easily accessible relevant information about the company including strategic vision, top executives, financials, performance indicators, competitors, and social activity of company, executives and its competitors on forums such as LinkedIn and Twitter. Companies and their executives are spending more time on social media and less time responding to mails and phone calls. Sales people trying to tap social media for insights into consumer behavior are overwhelmed with volumes of unfocused data. Success, however, comes to those sales professionals who are able to sift through this mass of data and gain insights into their customer and provide customers the insight as well. xiQ has developed a database of executives’ Twitter handles, which the proprietary Curating Engine leverages to track the companies and executives of the user’s choice and extracts the information valuable to the user. Staying on top of industry events remaining prepared for meetings. Guiding the team with market insights to drive sales and productivity. Monitoring customer perception of the company and its products across all major news sources. Specialized showcases, by the name of ‘Widgets’ are built into the application to give customized highlights into companies and executives. These widgets are generated using the company code and are especially designed according to the specified needs of the user such as showing the list of employees for a company and the contact details of selected employees in a company.